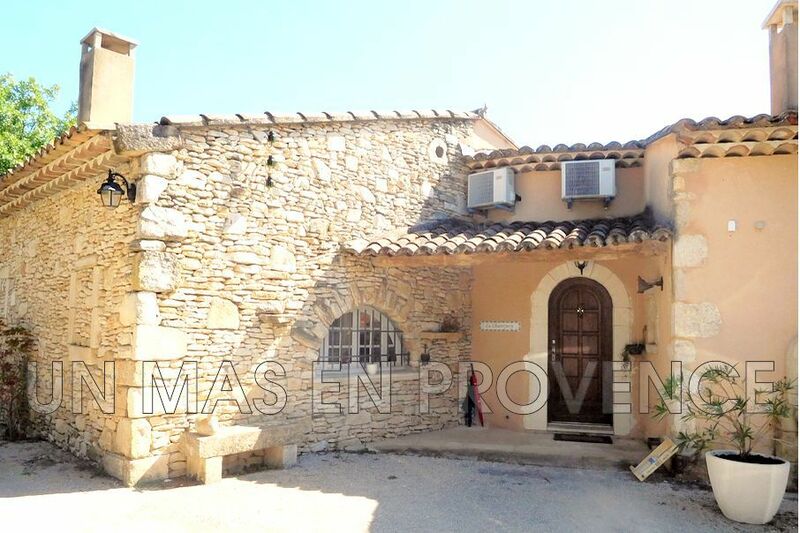 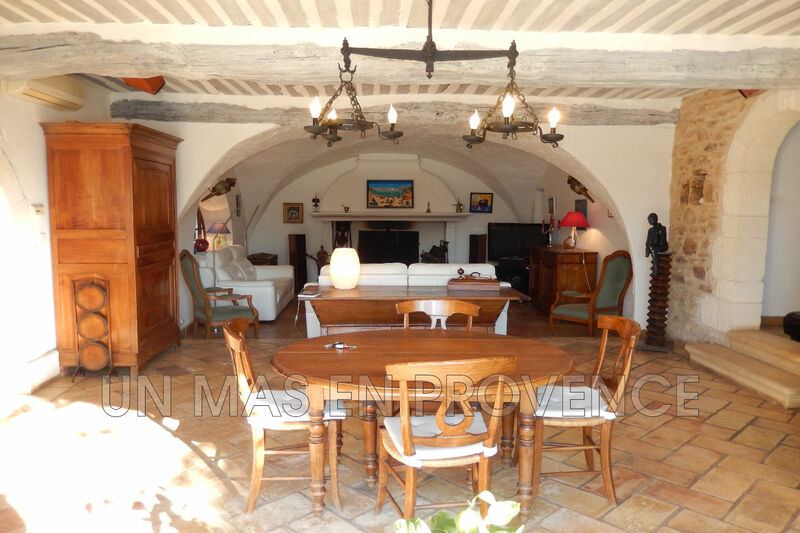 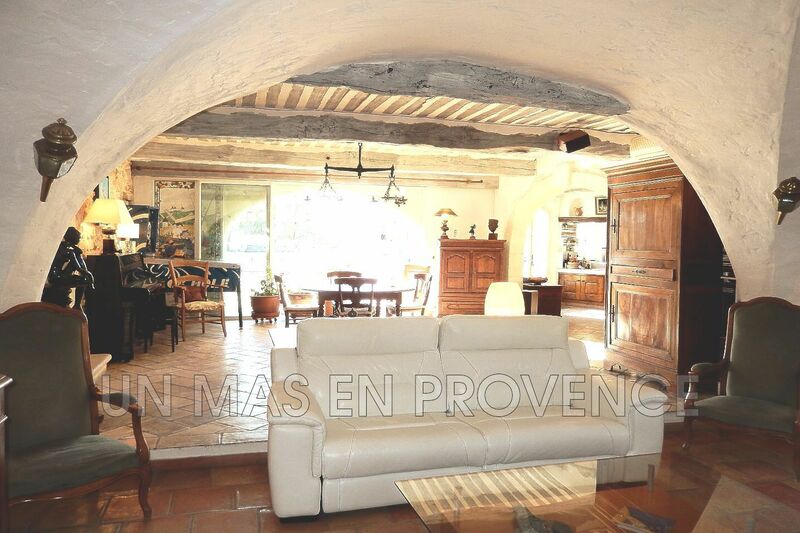 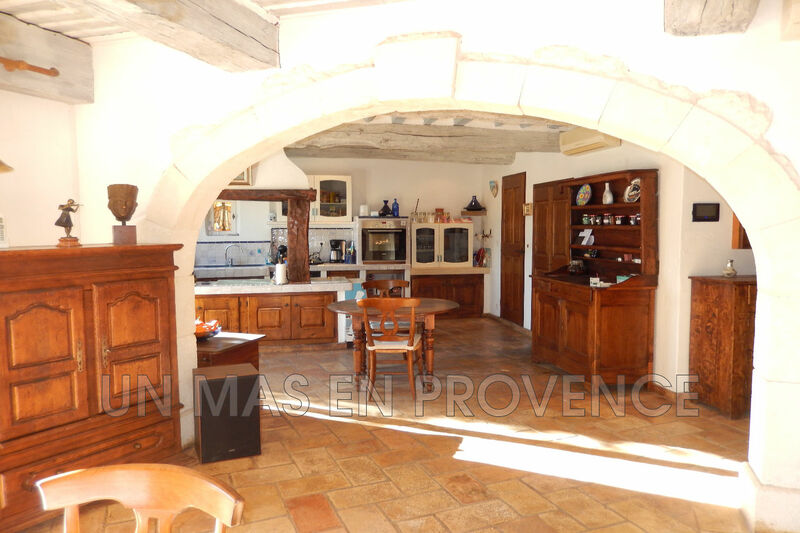 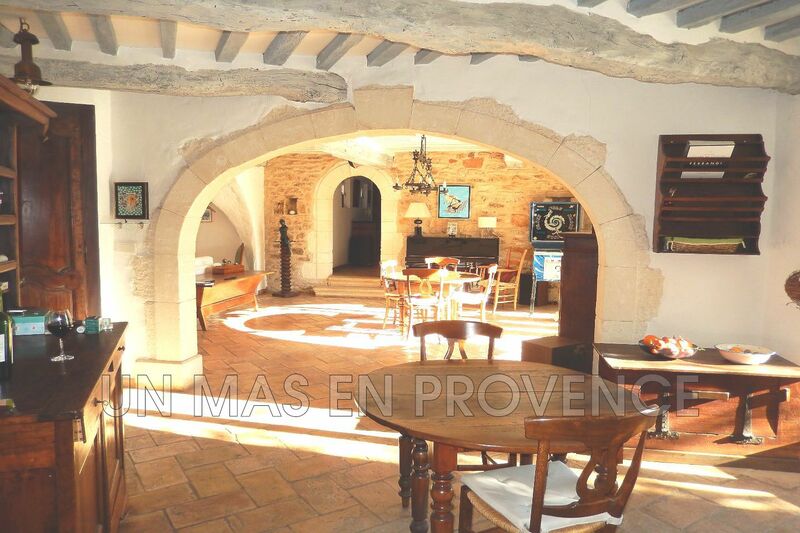 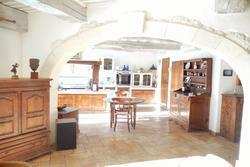 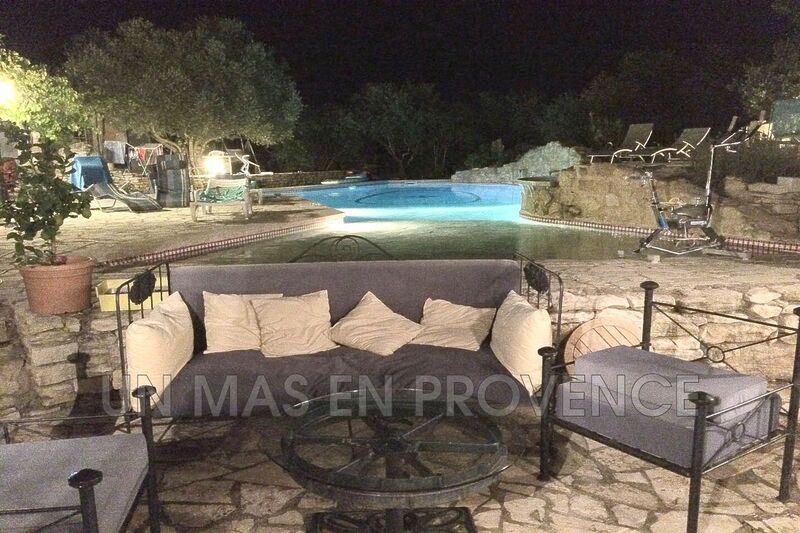 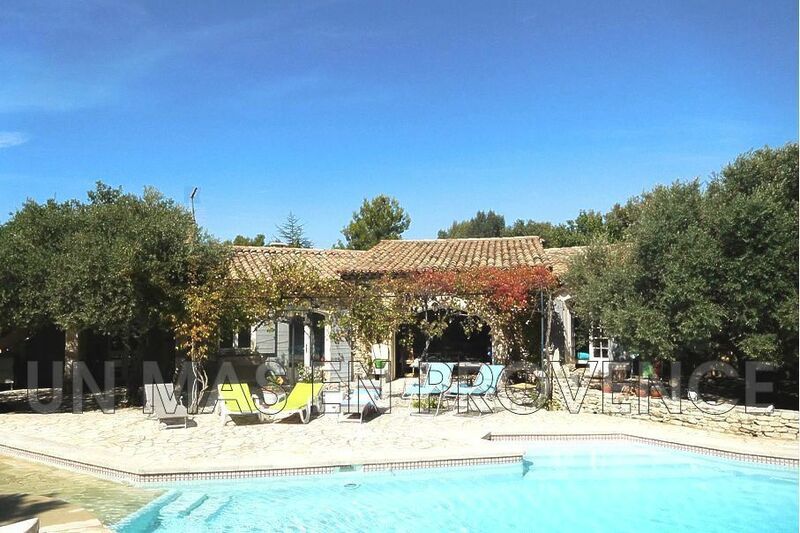 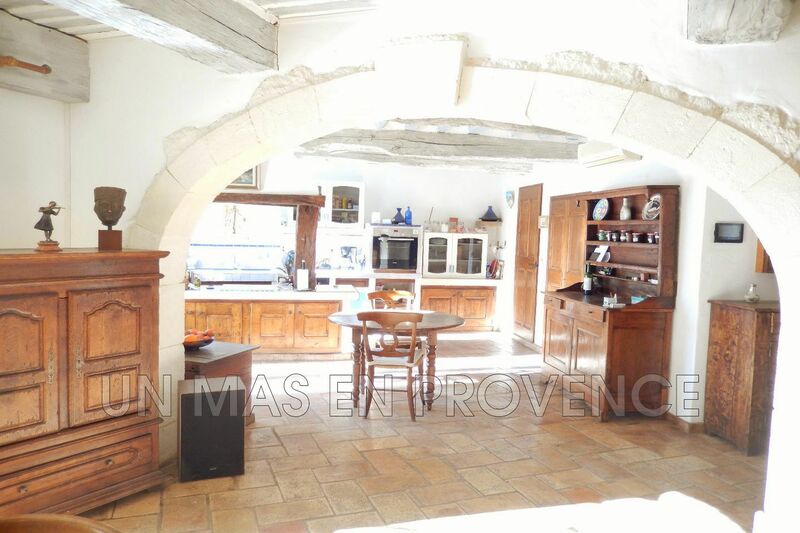 In a quiet and residential area, 5 kms from Saint Saturnin lès Apt and 5 kms from Roussillon, charming traditional property on one level with dependence. 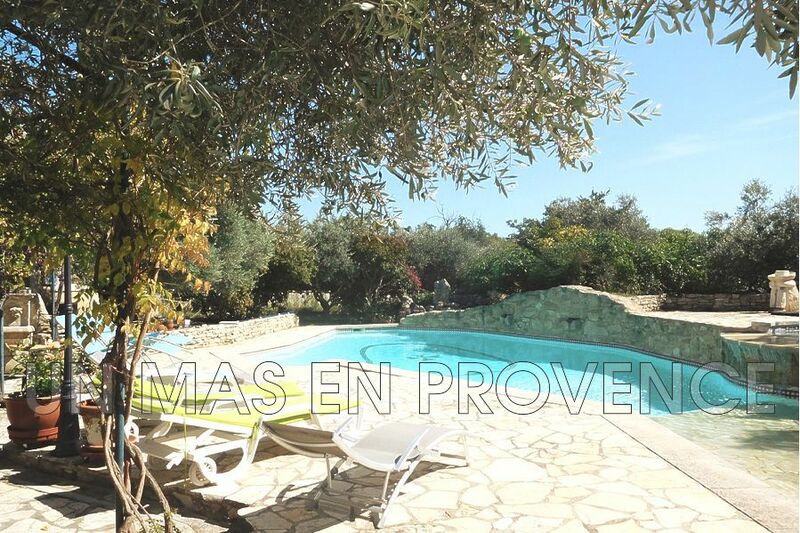 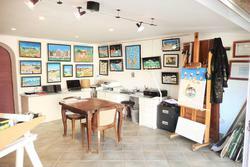 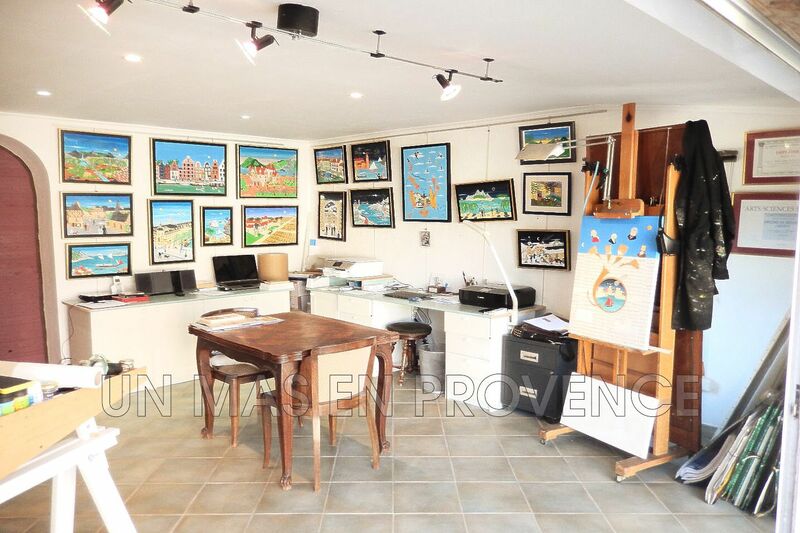 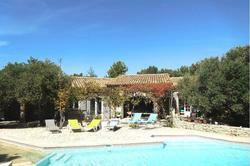 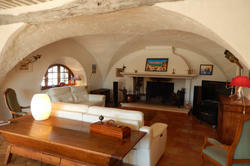 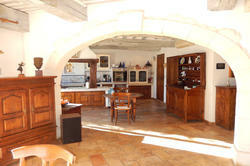 Built on a beautiful wooded plot of 2269 m2, this house of 188 m2 hab. 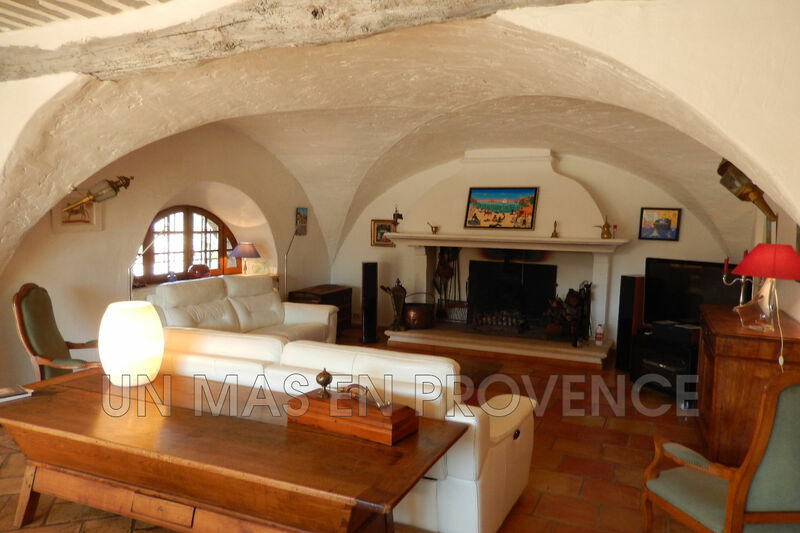 offers a large and bright living room of 75 m2, with lounge and fireplace, dining room and open kitchen, a cellar, a wine cellar with direct access to the south facing terrace. 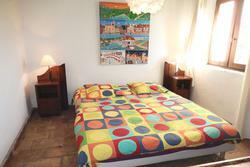 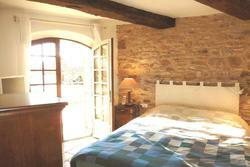 The sleeping area offers 5 bedrooms, including a suite, 2 bathrooms, 1 shower room and 3 toilets. 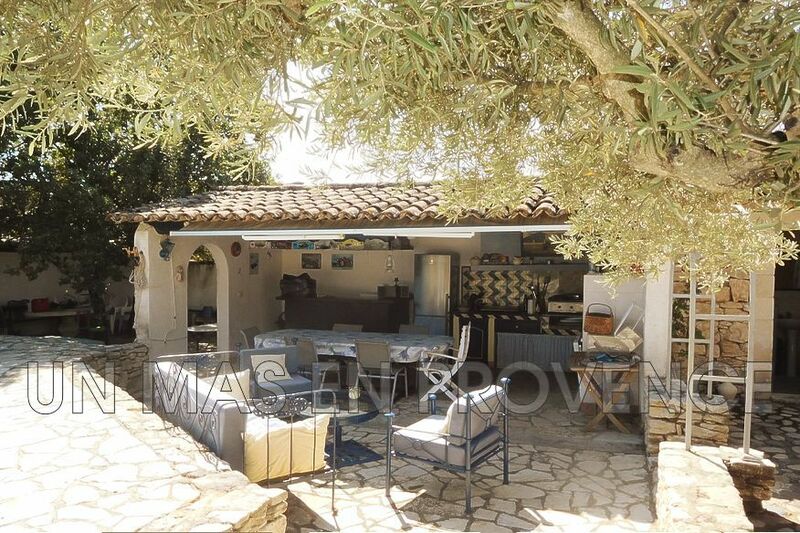 The outdoor living space offers a beautiful terrace with its arbor, a free-form pool 15 x 5, a jacuzzi and a pool house / summer kitchen with pizza oven.